The chairman and managing director of Volkswagen Group South Africa (VWSA) , Thomas Schaefer says "I’m trying to create something pan-African". Having assembly started operations in Kenya in 2016 and now 2018 in Rwanda. It’s not just the engine, VWSA also produces the flourshing compact car, the Volkswagen Polo. The organization has recently invested $20m in Rwanda realizing the prospective. 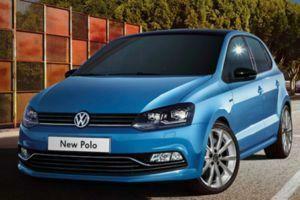 The annual capacity of vehicle assembly operation is up to 5,000 units, that includes the Polo. This setup in Rwanda would be a game changer for the African market, explains Schaefer. Schaefer is no stranger to setting up operations in emerging markets. He is now on a revolutionary mission that would contribute to a sustainable auto industry in Africa.The Polo Vivo assembly was setup on the other side of the continent. While the components and other vehicle body parts are provided from SA for assembly. The annual production would be sustainable in for a long term, which is 1m to 1.5m. The high mass production is not only for the domestic, but also the rest of Africa. SA’s auto manufacturers have had their sights on since 2015 when the Association of African Auto Manufacturers was formed with the aim of unlocking the potential of the automotive sector in Africa. Since most of the exports are to Japan, Australia and Europe, the focus has to be on Africa, explains Schaefer. “We have a great industry in SA and we want to grow it. And working together with other African countries can be mutually beneficial.” says Schaefer. He further reveals that they are in discussion with regards to countries like Ghana and Ethiopia. Schaefer is expecting the high duty on EV’s to be reduced as there are already expensive, also on vehicle with engine capacity of 1 liter or smaller should not attract duty charges. Schaefer further stresses that cars produced in Europe are likely to be cheaper that the ones manufactured locally, hence that needs to be stopped.